c1745-1812. His early life is largely a mystery, but it is estimated that he was born before 1750 at Kingston, Jamaica to a mother who was in slavery, was illegitimate and of mixed race. He would become unique in being a ‘black’ officer in the Georgian Navy. Perkins began his naval service at Jamaica in June 1759 as a servant aboard the bomb Grenado 8, Commander Samuel Uvedale, before transferring under the command of the same officer to the Boreas 28 in the following February. Remaining with this vessel, he witnessed the capture of the French frigate Sirène 32 on 18 October 1760 off Cuba, and served at the reduction of Havana in 1762 before leaving the frigate when she returned to England in the autumn. Perkins was a native of Jamaica and spent all of his naval career in the West Indies. During the years of peace after 1763 he lived in meagre circumstances at Jamaica whilst subsisting on his employment as a pilot. In December 1771 the Achilles 60, Captain Richard Collins, grounded in Port Royal harbour under his charge, and after being court-martialled Perkins was sentenced to be rendered incapable of ever piloting another naval vessel. Given his vast knowledge of the waters in the western Caribbean this was a sentence that would soon be overlooked. In 1775 he joined Rear-Admiral Clark Gayton’s flagship Antelope 50, Captain George Dawson, at Jamaica as a ‘pilot’. Although appearing on a number of ship’s books on that station over the next few years he was generally employed in command of tenders, in particular the schooner Punch, which he was commanding by 1778, and in which he not only made scores of captures but was also used by the authorities to land surreptitiously and gather intelligence on the enemy ports of Cap François and Havana. In November 1780 he demonstrated his local knowledge and seamanship skills when the Punch escaped from six French sail of the line and two frigates off Hispaniola. On 25 February 1782 Perkins was rewarded with a lieutenant’s commission and given command of the American-built schooner Endeavour 12 by the commander-in-chief at Jamaica, Vice-Admiral Sir Peter Parker. During the ensuing decisive months of the campaign against the French he was used to obtain intelligence by the commander-in-chief of the Leeward Islands station, Admiral Sir George Brydges Rodney, and in June he brought orders to Rear-Admiral Thomas Graves at Jamaica from Rodney, prior to the former departing for home with the prizes taken at the Battle of the Saintes. 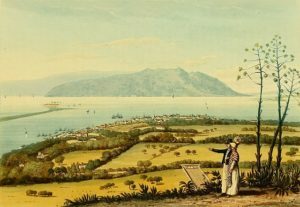 On 11 July Rodney, who by then had arrived at Jamaica, promoted Perkins commander of the Endeavour with a subordinate lieutenant as a reward for his recent capture of a sloop carrying many French officers, and to honour his ‘many services to His Majesty and the Publick’. Unfortunately this promotion was not authorised by the Admiralty, and despite Rodney’s protestations Perkins went on the beach at the end of the American Revolutionary War with the existing rank of lieutenant. Following the peace Perkins remained unemployed by the Navy, and there has been some speculation that he resorted to piracy in the Caribbean waters he knew so well, and that he may also have visited Britain. During the Spanish Armament of 1790 he was employed by Rear-Admiral Phillip Affleck, the commander-in-chief at Jamaica, on intelligence gathering missions to Hispaniola, although another mission to Cuba was aborted when the dispute was resolved. In 1792, Captain Thomas Macnamara Russell, learning of Perkins’ imprisonment on the French island of Saint-Domingue for allegedly supplying arms to the rebellious black natives, sailed round to Jérémie to enforce Perkins’ release. After Russell threatened to blow up a fort Perkins was then freed on the personal and belligerent emissary of Commander William Nowell. Although it is likely that Perkins had been imprisoned as a spy, it is possible that the French were equally keen to take revenge upon somebody who had been such a thorn in their side during the previous war. Once the French Revolutionary War broke out Perkins commissioned the fast-sailing schooner Spitfire 6 at Jamaica in the summer of 1793 on the instigation of the commander-in-chief, Commodore John Ford, and he served in the Saint-Domingue campaign during September which saw parts of the island occupied at the request of the plantation owners. In 1794 he commissioned one of the Saint-Domingue prizes, the schooner Marie Antoinette 10, for service on the Jamaican station, and that year he was with the promoted Rear-Admiral Ford when he captured Port-au-Prince on 4 June. 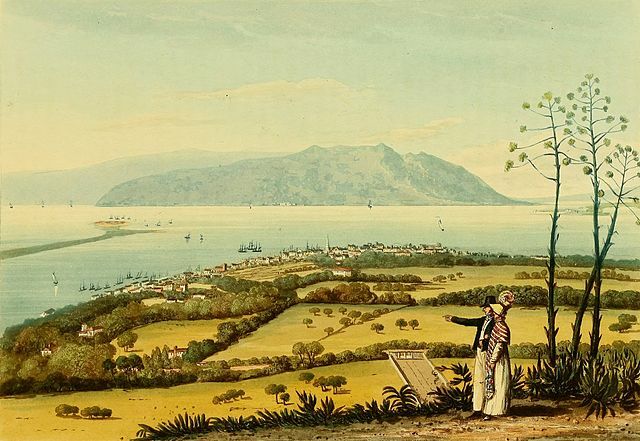 Thereafter he continued to see service on the Jamaican station, particularly off Saint-Domingue, where his local knowledge and contacts were unparalleled. On 21 June 1797 he removed from the Marie Antoinette on his promotion to commander and was appointed to the Drake 14 at Jamaica under the orders of Vice-Admiral Sir Hyde Parker, who in advancing him spoke of ‘an old and deserving officer’. On 20 April he was with the squadron under Captain Hugh Pigot of the Hermione 32 which took possession of a number of French privateers by boat attack at Port-au-Paix, and in September off Cape Nicholas he was present when the brig Pelican, Captain Thomas White, sunk the French privateer Trompeuse 12, later being commended by White for endeavouring to cut the enemy off. The Drake was eventually condemned at Jamaica in the summer of 1800, although it is likely that he had left her some time before that date. Perkins was posted captain on 6 September 1800, and although it has been stated that he joined the frigate Meleager 32 this was probably for the purposes of rank only, for when Captain Hon. Thomas Bladen Capel was appointed to the Meleager on 19 July Perkins replaced that officer on the Arab 22 and commanded her in the Leeward Islands. In 1802 Perkins was appointed to the Tartar 32, and he was present whilst a large British fleet monitored the French Republic’s attempt to suppress the slave revolt on Saint-Domingue from January. Over the next eighteen months his knowledge and opinions would come to be much valued by his commander-in-chief, Rear-Admiral Sir John Thomas Duckworth, but not by a British ‘extra minister’ Edward Corbet, who considered Perkins to be overly-friendly towards the black faction on Saint-Domingue. During the course of this service the Tartar was present when the French 74’s Duquesne and Duguay-Trouin were pursued by British forces between July and September 1803, and he also witnessed the surrender of several French men-of-war to Commodore John Loring in November to prevent the massacre of their officers and crew at the hands of the black forces. Following the wholesale slaughter of the white settlers on Saint-Domingue Perkins evacuated many survivors, before in May 1804 he retired through ill-health, ascribed to a form of asthma, being replaced by Captain Keith Maxwell. Perkins died at Kingston, Jamaica on 27 January 1812. He does not appear to have married but did have numerous children from different women. His prize-money arising from many captures allowed him to buy an estate in Jamaica, ironically employing slave labour. Perkins spent his entire naval career in the West Indies, and until near the time of his resignation the British press did not make any mention of the fact that he was black. In his later life he regularly attended social events in Jamaica, which was unknown at the time for one of his colour. His nickname was ‘Jack Punch’ after the schooner in which he served, and he reputedly captured upwards of three hundred prizes and three thousand prisoners, a claim that was substantiated by the Jamaican Council.